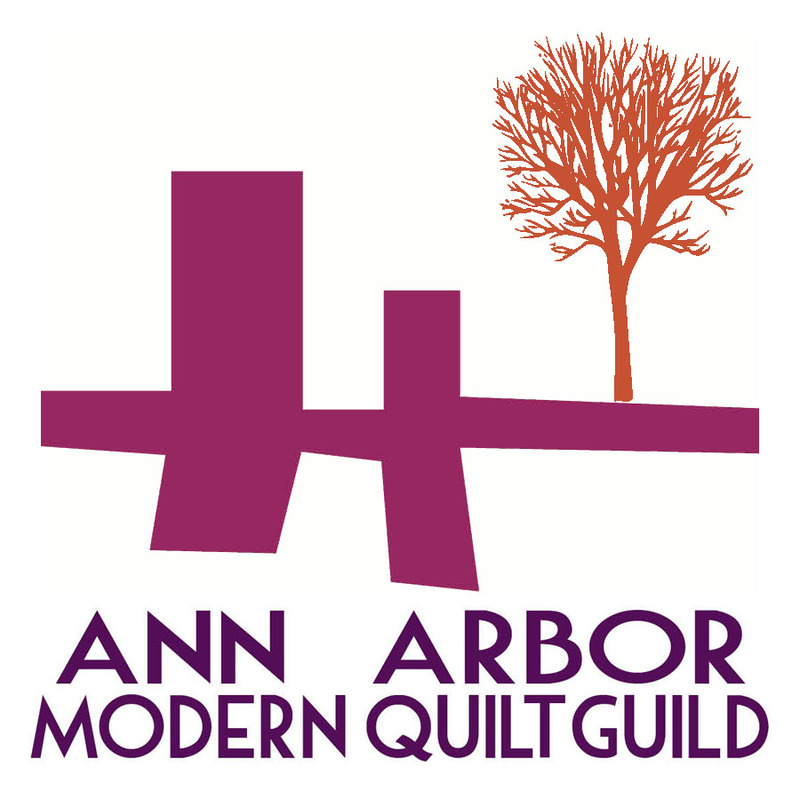 My chapter of the Modern Quilt Guild, the Ann Arbor Modern Quilt Guild, is having a tiny piecing swap. 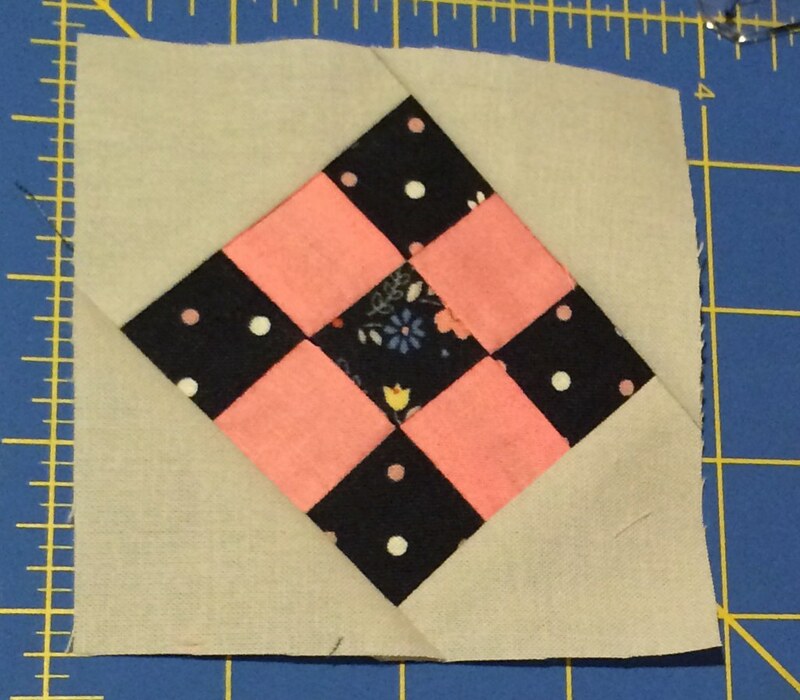 Which means, as long as you include some tiny patchwork, you can make whatever you like, and we'll do a yankee swap to exchange items. First I started by looking through this giant book of quilt blocks for inspiration, because I had been making a lot of stars recently for another swap and thought I should branch out. 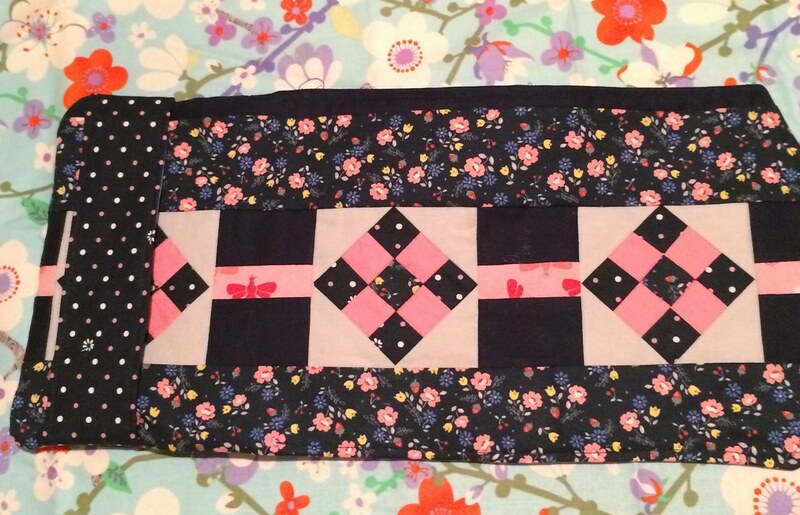 I ended up with five blocks at 3.75" unfinished, and saving two for the interior, I added some navy and pink (using the leftover Lori Holt bee print from this skirt) stripes to stretch the three blocks out, and then strips of floral and solid (because I measured the floral badly... Sigh). 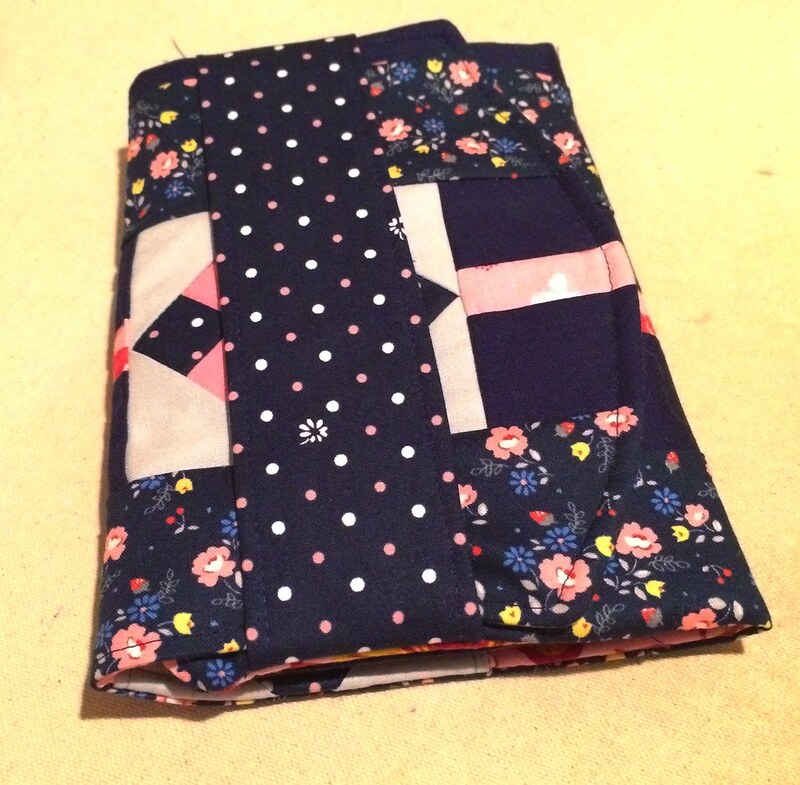 And then I had the cover for a Fold Over Sewing Pouch, a cute pattern by Aneela Hoey. 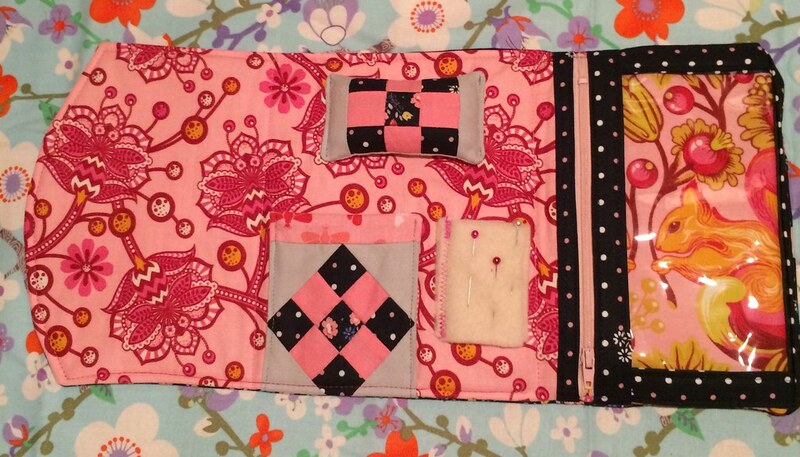 And one I'd made before, though this time I followed the whole pattern and added the pincushion and the needle book. The inside needed to be pink. Obviously! But... here's the thing, I don't actually own a lot of fabric that is pink. But what I do own a lot of is Tula Pink Fabric! And wouldn't you know, the pink fabrics from Birds and the Bees is just the right pink! So, it kind of got this amazingly expensive Tula Pink interior, which is hilarious. 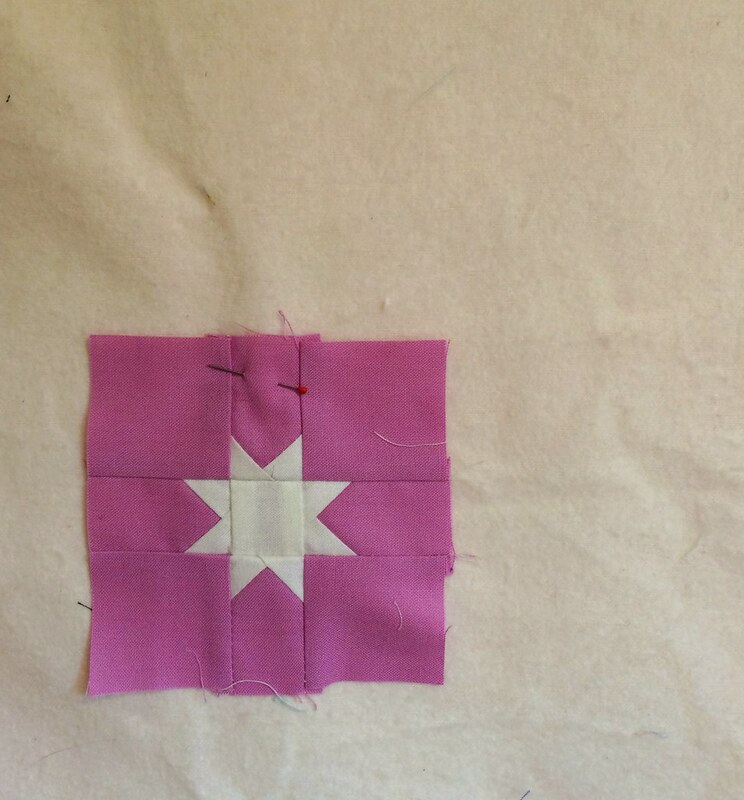 Plus I pieced the squirrel in upside down, and then used fusible fleece rather than batting, meaning I wast stuck with it, so I had to invert the positioning of the interior in order to make it appear right side up. Though the zipper then became upside down. But anyway! I would rather have someone use and enjoy this bit of highly desirable fabric in a sweet little sewing kit, than let it sit forever on the shelf (and it would be unthinkable to sell it!). And it's much more exciting as a thing than as a potential thing, isn't it? Now I'll wrap it up for the meeting! Can't wait to see what everyone's made!